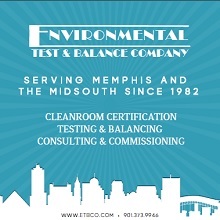 After several planning and organizational meetings, the Controlled Environment Testing Association was established in the Fall of 1992 by leaders on the forefront in the controlled environment industry. It was developed to promote quality assurance in the industry through the exchange and dissemination of information on testing and certification issues. Controlled Environments include cleanrooms such as micro chip processing, compounding and manufacturing facilities, containment suites, isolation rooms, surgery rooms and most other areas of health care facilities. Controlled environments also include equipment such as laminar flow devices, sterile ovens, biological safety cabinets, tunnels, dryers, chemical fume hoods, as well as other similar modular and non modular controlled environments and equipment that require accredited, professional and precision testing and certification. The formation of Ceta was derived from a need to collect data, network, develop application guides to be disseminated throughout the industry to help bring about a higher level of integrity, improve testing quality, accuracy and repeatability and to aid in the understanding and practical application of the complex standards and guidelines we test to. As well as to hold educational series that keep CETA Members on the forefront of the ever growing and changing knowledge base for testing and certification applications in our industry. There was also a need to work with government and regulatory agencies on issues affecting the controlled environment and contamination control industries.